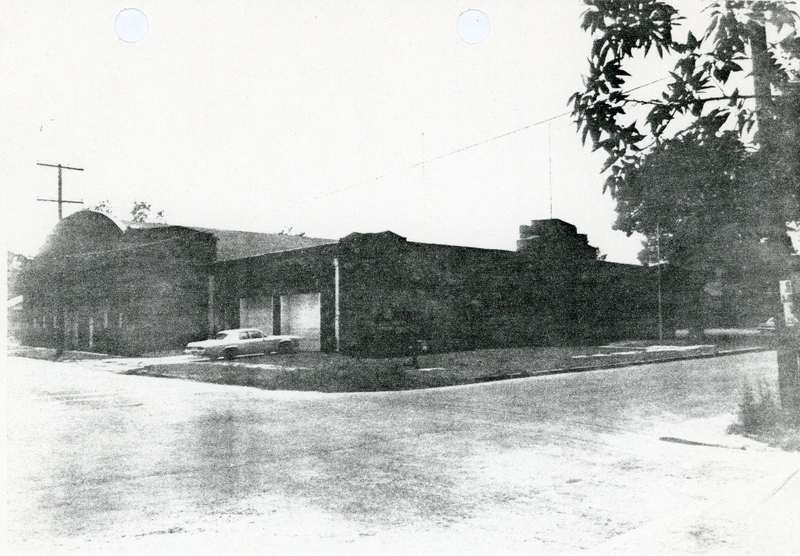 The Hugo Armory is a single story, rectangular (140′ x 96′) structure constructed of untooled and uncoursed native sandstone of multiple colors. In the eighteen inch thick walls, stone selection and placement raises the masonry to the level of art. The west end wall alone deserves to be placed in an art museum or a sculpture garden. 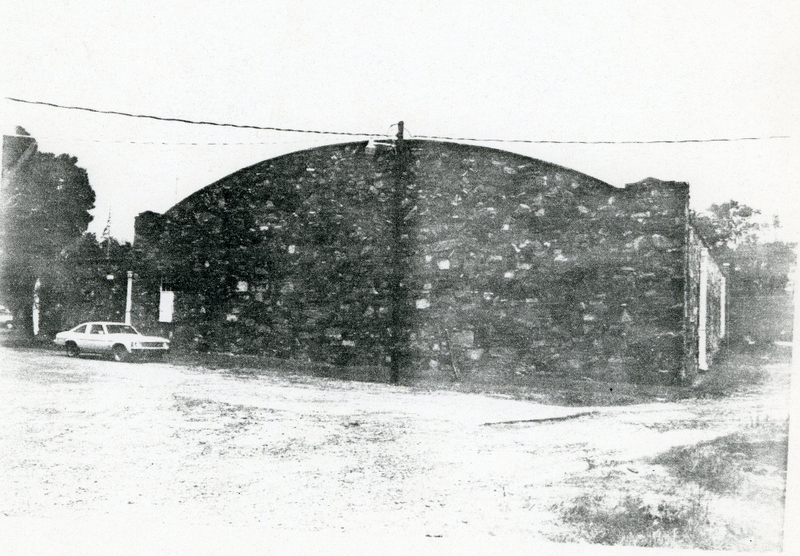 The high ceiling portion of the building has an arched roof, while the other section has a flat roof. Both portions have parapets. Pilasters on corners and at doorways provide a hint of art deco style. 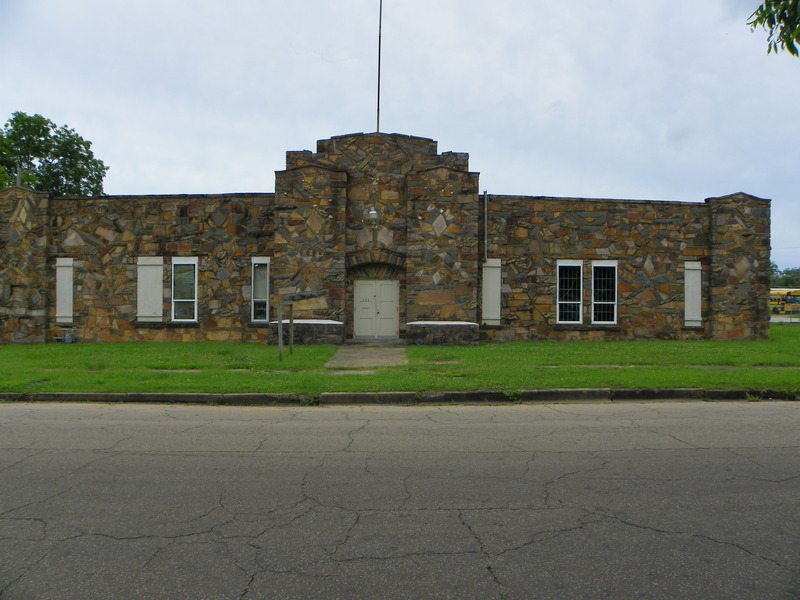 As a WPA structure, the Hugo armory is exceptional for its masonry which becomes a form of artistic expression, making it one of the most attractive depression era buildings in Southeastern Oklahoma. Within the Hugo area it is architecturally significant in terms of type, style, scale, materials and quality of workmanship. Also, construction of the armory provided job opportunities for destitute workers at a time when there were few in the region and starvation was a real possibility. One black gentlemen walked eight miles to the job site and then again from it, working eight hours on the project for one dollar per day. 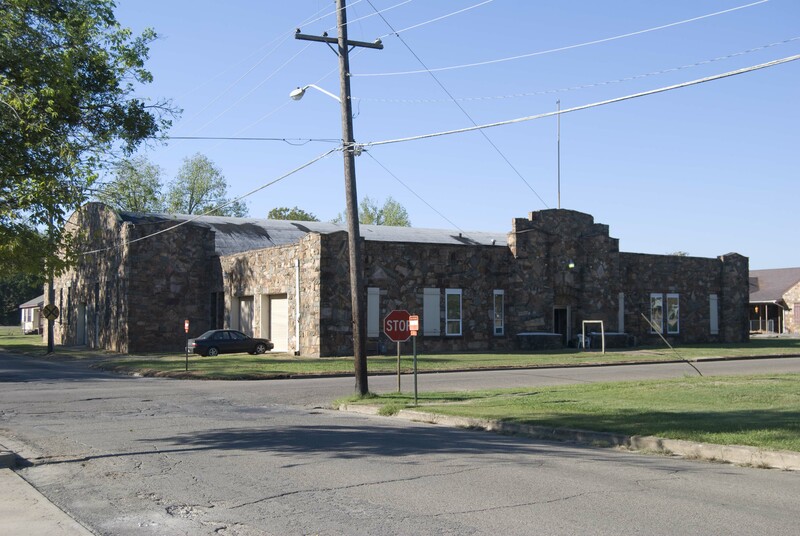 Equally important is that the building itself contributed to a state of military prepardedness which enabled the Oklahoma National Guard to distinguish itself during World War II. Listed on the National Register of Historic Places September 8, 1988.